With Ricky Gervais now set to play the crucial role of "Human Who Is Not A Muppet, Thus Throwing The Very Nature Of Existence Into Question" in the upcoming Muppets sequel, producers are now moving on to filling out the supporting cast of their latest European caper. 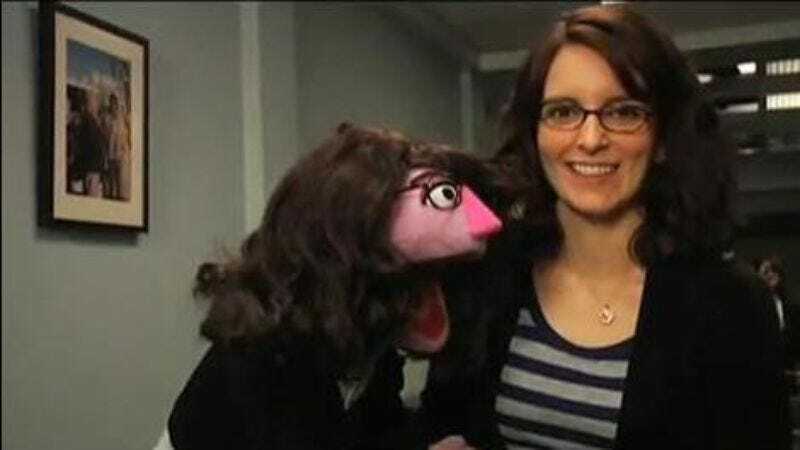 Ty Burrell has already replaced Christoph Waltz as an Interpol agent, and now The Hollywood Reporter says the female lead character, a Russian gulag guard, may be played by Tina Fey. The deal is still in negotiation, but when it comes to exiling the Muppets to the hilarious confines of Russia's grueling prison system that this Muppets movie will feature, apparently, who better to strip Kermit and Fozzie et al. of all their basic rights and force them into zany labor than Tina Fey, the Stalin of comedy whose oppressive regime has been fueled by so much bloodshed?